If you are considering buying an investment cabin and have decided to put it on a rental program, the next decision you have to make is whether you want it to be a Vacation Rental by Owner cabin. The short answer: sometimes our cabin owners are incredibly successful at “Vacation Rental by Owner” (VRBO), but other times it is a dismal failure. Vacation Rental by Owner is certainly not for everyone, but for the select few who bring it all together it is a fantastic opportunity to garner a huge portion of the rental proceeds. There just isn’t a better way to benefit financially from the ownership of a rental cabin. You collect 100 percent of the proceeds, which means no paying a rental company to advertise, manage, book, coordinate with the guests, arrange the cleaning, maintain the cabin, collect the rental revenue, change the locks, or collect when a cabin owner damages or steals items. However, you must be ready to administrate those tasks yourself. Of course, there are costs associated with these tasks even with Vacation Rental by Owner, but compare that to the rental company splits, which are commonly 40 percent to the rental company and 60 percent to the owner. So as the owner, you can spend quite a bit on management help and still come out pretty far ahead as long as that cost stays below 40 percent of the gross income. Here is what we have observed with Vacation Rental by Owner cabins. 2) Successful rental owners don’t mind answering the phone or emailing multiple times during the day. In order to book your cabin you need to be accessible at all times. When renters are online looking for a vacation spot, they have questions. They want to know if you are near such and such place, and will usually move on to another cabin if you don’t respond with less than a day. Many times minutes matter! 3) Successful VRBO cabins have owners who love and care for them as though it they were living there themselves. These cabins aren’t just a business as the successful Vacation Rental by Owner will attest. VRBO’ers want vacationers to love, love, love their stay in the Smokies and they see their cabin as a big part of the adventure. So, they go the extra mile. They wash the windows. They have linens that are high end. Their décor is fresh and whimsical with sparks of creativity sparks seen everywhere. They stay in their own cabin when it’s not being rented, and pay attention to the details while they’re there. These cabins don’t have a corner chair that is missing a light to read by. You won’t find a missing shelf in the bathroom for traveling toiletries. There are pans in the kitchen for cooking brownies, a colander for draining spaghetti. The renter knows these extra touches are because someone cares and it shows! So those renters not only come back but they also leave great remarks online, and thus, the Vacation Rental by Owner cabin owners are successful. 4) They manage their income from the cabin as they would in any other business. 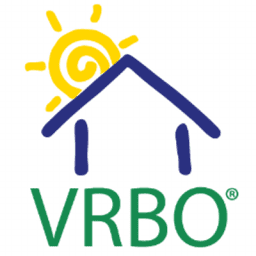 Successful VRBO’ers don’t overspend on items that will not generate more “rental bookings.” Having a high end luxurious cabin doesn’t mean spending money on European imported antiques, art or fine china. Heaven knows the Smoky Mountain cabin vacationer is looking for Smoky Mountain downhome amenities like bubbling hot tubs, a view of the sunset behind the mountain in a distance, a swing to curl up on, and a rock fire pit to roast marshmallows and make smores from their childhood. Take your cue from Dollywood theme park, where vacationers remember “Pappa’s Place” and celebrate their roots.